Today, on the 70th anniversary of the Universal Declaration of Human Rights’, a major new project has been announced to raise awareness of human rights across the UK and for generations to come. 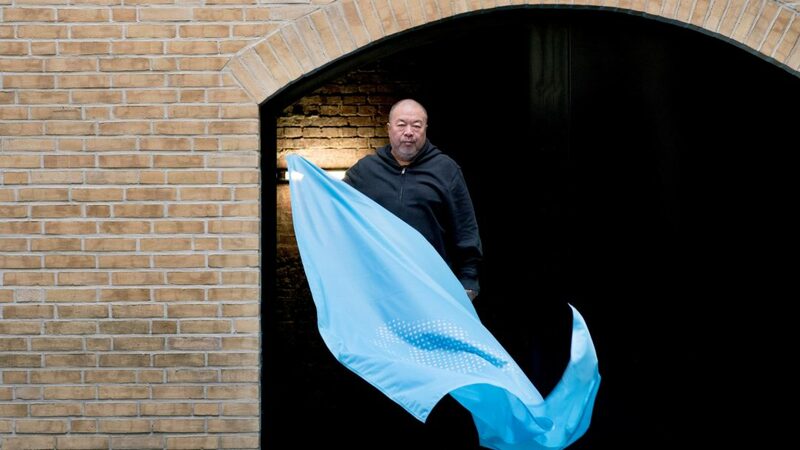 A new flag for human rights has been designed by Ai Weiwei, commissioned in response to the real and present dangers of a world changing at break-neck speed, to offer hope and to educate generations to come about the absolute importance of universal human rights. This grassroots moment of creative awareness and activism will be led – jointly and uniquely – by arts organisations and human rights charities. The flag will be available to schools and care homes, town halls and office blocks, hospitals and libraries across the UK, with everyone invited to Fly The Flag for Human Rights six months from now between 24 – 30 June 2019 in events across the country, more information on which will be released in due course. Wherever flown, both physically and digitally, by groups or individuals, big or small, the flag will mark the value of human rights in everyone’s daily lives in the UK. Weiwei says this flag is just the start. He encourages everyone to make this flag their own to represent the shared ideal of human rights. Education packs have been produced, by the Donmar Warehouse in collaboration with Liberty, to creatively explore Fly The Flag. Designed to support the Citizenship and PSHE curriculum for Key Stages 1-5, the education packs support teachers and young people to engage with human rights issues. The packs are available to download for free at flytheflag.org.uk from 10 December 2018. Fly The Flag is co-produced by Fuel (Lead Producer), Amnesty International, Donmar Warehouse, Human Rights Watch, Liberty, National Theatre, Sadler’s Wells and Tate Art Galleries. Additional co-commissioners include Coventry City of Culture Trust. The original Universal Declaration of Human Rights was created by women and men who witnessed first-hand the horror and inhumanity of the Second World War and were determined that it should never be repeated. And today, through the UK Human Rights Act, this powerful idea protects the rights of everyone in this country. Human rights inspire a vision of a world free from abuse and cruelty and empower by protecting people from state abuse and curbing the reach of society’s most powerful, ensuring that a minimum standard of safety and dignity is guaranteed to every human being.